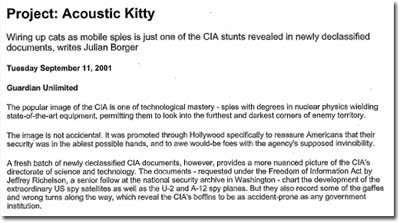 Note: The following PDF documents require the free Adobe Acrobat Reader to view. 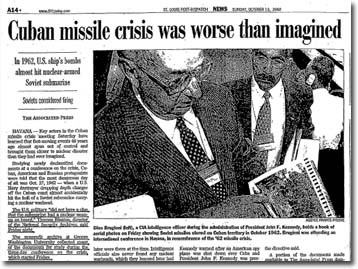 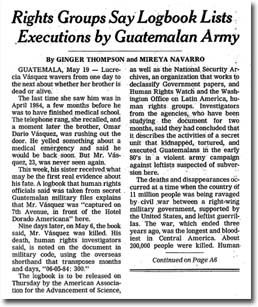 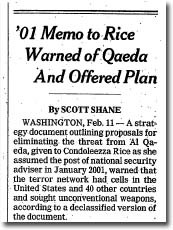 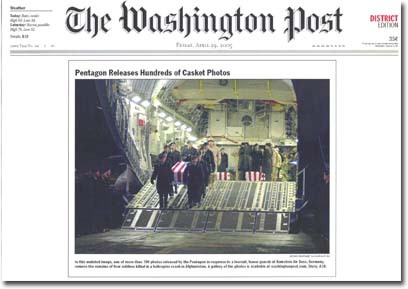 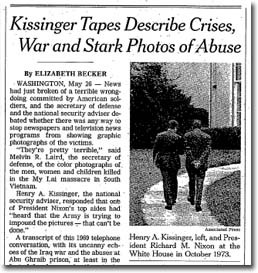 "Hundreds of Photos of Caskets Released"
"'01 Memo to Rice Warned of Qaeda and Offered Plan"
"Rumsfeld Visited Baghdad in 1984 to Reassure Iraqis, Documents Show"
4. 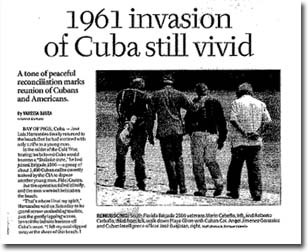 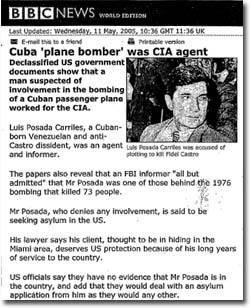 "Telecon, Secretary Laird, 11/21/69 3:50 p.m."
"Kissinger Tapes Describe Crises, War and Stark Photos of Abuse"
"Looking into the Secret Archives of Guatemala's Bureaucracy of Murder"
"Cuban Missile Crisis Was Worse Than Imagined"
"Cuba 'Plane Bomber' [Luis Posada Carriles] Was CIA Agent"
9. 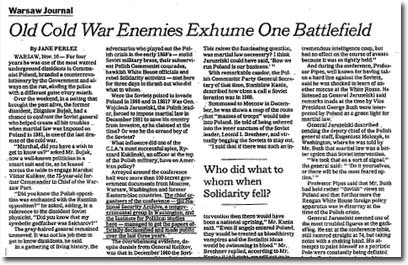 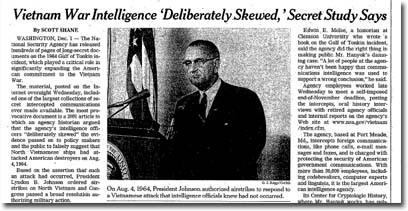 "DRV Reports Shooting at Two Enemy Aircraft," 8/4/64, and "White House Staff Meeting, 5 August 1964"
"Vietnam War Intelligence 'Deliberately Skewed,' Secret Study Says"
"Suit Targets White House Messages"
"Kissinger Approved Argentinian 'Dirty War'"
"Old Cold War Enemies Exhume One Battlefield"
"1961 Invasion of Cuba Still Vivid"
"Military Got Authority to Use Nuclear Arms in 1957"
"Documents Shed Light on Assassination of Chilean in U.S."
"Documents Disclose F.B.I. 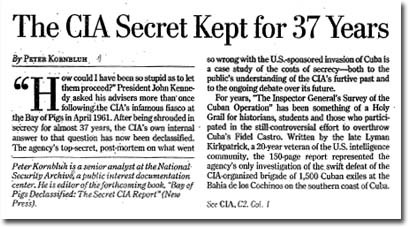 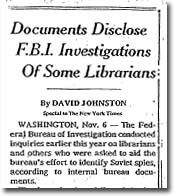 Investigations of Some Librarians"
"The CIA Secret Kept for 37 Years"
"U.S. 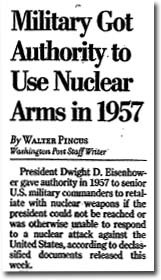 Violated Nuclear Arms Pledge in Japan, Records Show"
"Army's Project X Had Wider Audience"
"Project: Acoustic Kitty: Wiring Up Cats as Mobile Spies … "